Seminar: Keith Green - Devotion or Devotions? Keith Green preaches a very important message that makes critical distinguishing factors in whether or not someone is TRULY a Christian. 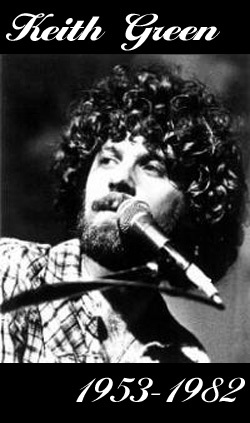 Keith Green's song Altar Call with lyrics and pictures of the 1979 ORU revival. First, we here at Christian Knight Media wish to offer our condolences to the victims and families of the recent massacre and bombing in Norway. Our prayers are with them all at this time. We have recently discovered that the accused gunman and bombing suspect has used the name “Christian Knight” to spread his hate and used that term in his delusional writings. We here at Christian Knight denounce any use of that name in relation to kill, spread hate and bring about any destruction of property. For centuries, the term of Christian Knight has been both a title of reverence and of disdain. Concerning our use of the term, we do not take sides about the issues of this world, both politically or religiously. We have made it very clear that we are not affiliated with any religious denomination or political party. The use of the name Christian Knight and even our Christian Superhero characters are NOT to be used to evoke any literal militant attack or hate against any other human being for their race or political or religious views. We believe that the battle for the world’s survival is BOTH Spiritual and Physical and believe that Christians should arm themselves with the Power of God’s Love, the Wisdom of God’s Word and the Strength of the Holy Spirit through prayer and living by example. To use their faith and talents to help change the world and NOT cause pain and death to innocent men, women and children. If we have presented any of our hero characters with weapons (swords, guns, shield, etc.) it is not to be taken literal. We have tried to explain the spiritual and supernatural significance of such weapons in the battle against evil. Our Christian Superheroes are NOT killers but use those weapons to help protect and defend innocent people and stop villains or would-be world conquerors from spreading evil. In the same way as pastors and true Christians stand up to evil with writing against it, preaching, using other talents for God and living a life of faith. And, also, in the same way that other comic book superheroes are presented to help others with the exception that our characters have powers and abilities from God. Also, many wars have been fought, like WWII that was engaged for the greater good, when evil rose up to take over the world and many soldiers that fought against it were Christians. There are police officers who must patrol our streets and fight crime everyday that are Christians. But fighting dictators, terrorists and armies or crime, gangs and street thugs is NOT the same as shooting children in a camp or bombing government buildings in a terrorist rant. 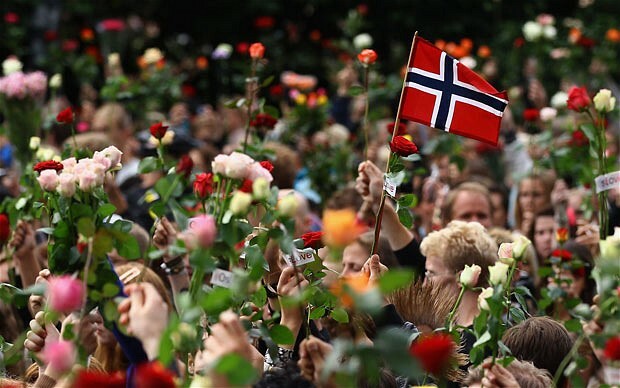 Again, our thoughts and prayers go out to the victims in Norway. Words cannot express the horror that is felt over there at this time. We firmly denounce any further hate speech or attacks against anyone claiming they do such in the name of Christ. A true Christian Knight is the one who would not kill innocent people or write a book of hate but help others and take a stand and stop the spread of this form of prejudice in the name of Christ. Mere Christianity is a theological book by C. S. Lewis, adapted from a series of BBC radio talks made between 1941 and 1944, while Lewis was at Oxford during World War II. Considered a classic of Christian apologetics, the transcripts of the broadcasts originally appeared in print as three separate pamphlets: The Case for Christianity (1942), Christian Behaviour (1942), and Beyond Personality (1944). Lewis was invited to give the talks by Rev. James Welch, the BBC Director of Religious Broadcasting, who had read his 1940 book, The Problem of Pain. Lewis, an Anglican, intended to describe the Christian common ground. In Mere Christianity, he aims at avoiding controversies to explain fundamental teachings of Christianity, for the sake of those basically educated as well as the intellectuals of his generation, for whom the jargon of formal Christian theology did not retain its original meaning. 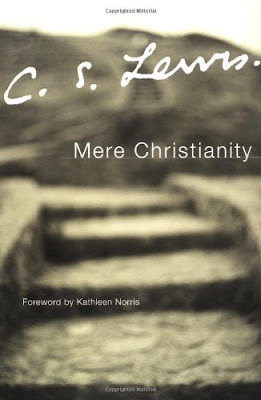 In 2006, Mere Christianity was placed third in Christianity Today's list of the most influential books amongst evangelicals since 1945. The title has influenced Touchstone Magazine: A Journal of Mere Christianity and William Dembski's book Mere Creation. Charles Colson's conversion to Christianity resulted from his reading this book, as it did to Francis Collins, Josh Caterer and the philosopher C. E. M. Joad. 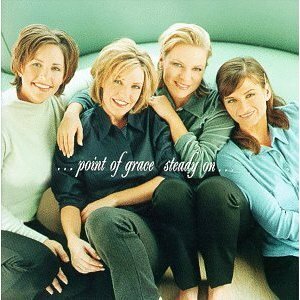 A passage in the book also influenced the name of contemporary Christian Texan Grammy-nominated pop/rock group Sixpence None the Richer. The phrase, "the hammering process" was used by Christian metal band Living Sacrifice for the name of their album The Hammering Process. Metalcore band, Norma Jean, derived the title of their song "No Passenger: No Parasite" from the section in the book in which Lewis describes a fully Christian society as having "No passengers or parasites". Singer Brooke Fraser wrote the "C.S.Lewis Song" from the album Albertine, which is heavily indebted to Lewis's works, including the lyrics "If I find in myself desires nothing in this world can satisfy / I can only conclude that I was not made for here." 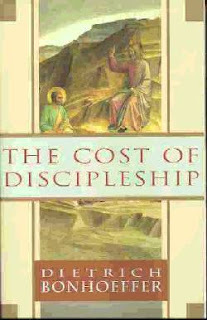 The Cost of Discipleship is a book by the German Theologian Dietrich Bonhoeffer, considered a classic of Christian thought. The original German title is simply Nachfolge (Discipleship). It is centred around an exposition of the Sermon on the Mount, in which Bonhoeffer spells out what he believes it means to follow Christ. 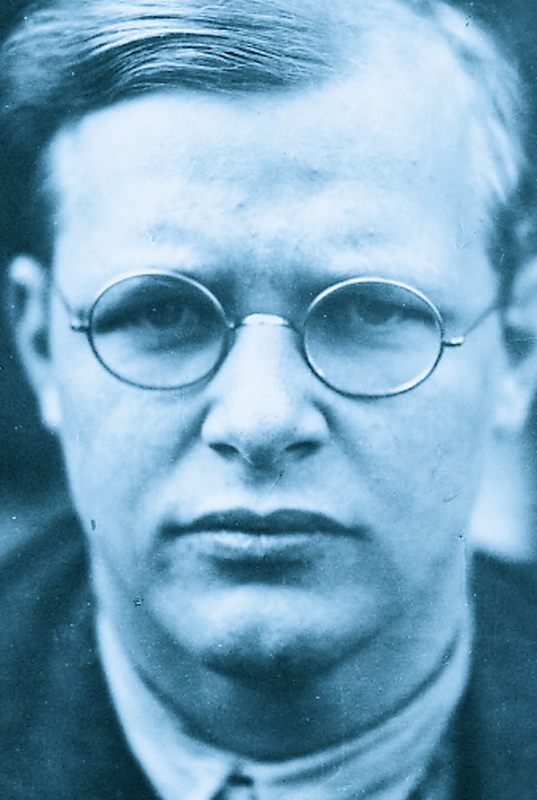 It was first published in 1937, when the rise of the Nazi regime was underway in Germany and against this background that Bonhoeffer's theology of costly discipleship developed, which ultimately led to his death. Bonhoeffer argues that as Christianity spread, the Church became more "secularised", accommodating the demands of obedience to Jesus to the requirements of society. In this way, "the world was Christianised, and grace became its common property." But the hazard of this was that the gospel was cheapened, and obedience to the living Christ was gradually lost beneath formula and ritual, so that in the end, grace could literally be sold for monetary gain. But all the time, within the church, there had been a living protest against this process: the monastic movement. This served as a "place where the older vision was kept alive." Unfortunately, "monasticism was represented as an individual achievement which the mass of the laity could not be expected to emulate"; the commandments of Jesus were limited to "a restricted group of specialists" and a double standard arose: "a maximum and a minimum standard of church obedience." Why was this dangerous? Bonhoeffer points out that whenever the church was accused of being too worldly, it could always point to monasticism as "the opportunity of a higher standard within the fold - and thus justify the other possibility of a lower standard for others." So the monastic movement, instead of serving as a pointer for all Christians, became a justification for the status quo. Bonhoeffer remarks how this was rectified by Luther at the Reformation, when he brought Christianity "out of the cloister". However, he thinks that subsequent generations have again cheapened the preaching of the forgiveness of sins, and this has seriously weakened the church: "The price we are having to pay today in the shape of the collapse of the organised church is only the inevitable consequence of our policy of making grace available to all at too low a cost. We gave away the word and sacraments wholesale, we baptised, confirmed, and absolved a whole nation without condition. Our humanitarian sentiment made us give that which was holy to the scornful and unbelieving... But the call to follow Jesus in the narrow way was hardly ever heard." The Book of Martyrs, by John Foxe, is an account of Christian martyrs throughout Western history from the 1st century through the early 16th centuries, emphasising the sufferings of English Protestants and proto-Protestants from the 14th century through the reign of Mary I. First published in 1563 by the Protestant John Day, the book was lavishly produced and illustrated with many woodcuts and was the largest publishing project undertaken in Britain up to that time. Commonly known as Foxe's Book of Martyrs, one fuller title of the work is Actes and Monuments of these Latter and Perillous Days, Touching Matters of the Church. Widely owned and read by English Puritans, the book helped mould British popular opinion about the nature of Catholicism for several centuries. 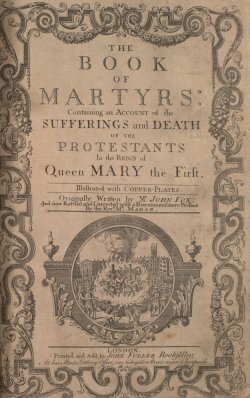 Published early in the reign of Queen Elizabeth I and only five years after the death of the Roman Catholic Queen Mary I, Foxe's Book of Martyrs was an affirmation of the Protestant Reformation in England during a period of religious conflict between Catholics and Protestants. Because the English monarch was the temporal head of the Church of England, a change in ruler could change the legal status of religious practice. Adherents of the rejected faith risked persecution by the State, and during the reign of Mary I, non-Catholics were publicly burned at the stake. Foxe's account of these martyrdoms contributed significantly to a nationalistic repudiation of the Roman Catholic Church and asserted a historical justification intended to establish the Church of England as a continuation of the true Christian church rather than a modern innovation. Dietrich Bonhoeffer (German pronunciation: [ˈdiːtʁɪç ˈboːnhœfɐ]; February 4, 1906 – April 9, 1945) was a German Lutheran pastor, theologian and martyr. He was also a participant in the German resistance movement against Nazism and a founding member of the Confessing Church. His involvement in plans by members of the Abwehr (the German Military Intelligence Office) to assassinate Adolf Hitler resulted in his arrest in April 1943 and his subsequent execution by hanging in April 1945, 23 days before the Nazis' surrender. His view of Christianity's role in the secular world has become very influential. On April 6, 1943, Bonhoeffer and Dohnanyi were arrested not because of their conspiracy but because of long-standing rivalry between SS and Abwehr for intelligence fiefdom. One of the informers of Abwehr, Wilhelm Schmidhuber, was arrested by the Gestapo for involvement in a private currency affair. In the subsequent investigations the Gestapo uncovered Dohnanyi's operation in which 14 Jews were sent to Switzerland ostensibly as Abwehr agents and large sums in foreign currency were paid to them as compensation for confiscated properties. The Gestapo, which had been looking for information to discredit Abwehr, sensed that they had a corruption case against Dohnanyi and searched his office at Abwehr where they discovered notes revealing Bonhoeffer's foreign contacts and other documents related to the anti-Hitler conspiracy. One of them was a note that discussed plans for a journey by Bonhoeffer to Rome, where he would explain to church leaders why the assassination attempts on Hitler in March 1943 had failed. Nevertheless, Bonhoeffer's involvement in assassination plots was not known by the Gestapo as Abwehr succeeded in explaining away the most damaging documents as official coded Military Intelligence materials. Dohnanyi and Bonhoeffer were, however, suspected of subverting Nazi policy toward Jews and misusing Abwehr for inappropriate purposes. Bonhoeffer was suspected of evading military call-up, using Abwehr to circumvent Gestapo injunction against public speaking and staying in Berlin, and using Abwehr to further Confessing Church works, amongst other charges. Operation Auca was an attempt by five Evangelical Christian missionaries from the United States to bring the gospel to the Huaorani people of the rainforest of Ecuador. The Huaorani, also known by the pejorative Aucas (a modification of awqa, the Quechua word for "enemies"), were an isolated tribe known for their violence, against both their own people and outsiders who entered their territory. With the intention of being the first Christians to evangelize the previously uncontacted Huaorani, the missionaries began making regular flights over Huaorani settlements in September 1955, dropping gifts. After several months of exchanging gifts, on January 3, 1956, the missionaries established a camp at "Palm Beach", a sandbar along the Curaray River, a few kilometres from Huaorani settlements. Their efforts came to an end on January 8, 1956, when all five—Jim Elliot, Nate Saint, Ed McCully, Peter Fleming, and Roger Youderian—were attacked and speared by a group of Huaorani warriors. The news of their deaths was broadcast around the world, and Life magazine covered the event with a photo essay. The deaths of the men galvanized the missionary effort in the United States, sparking an outpouring of funding for evangelization efforts around the world. Their work is still frequently remembered in evangelical publications, and in 2006 was the subject of the film production End of the Spear. Several years after the death of the men, the widow of Jim Elliot, Elisabeth, and the sister of Nate Saint, Rachel, returned to Ecuador as missionaries with the Summer Institute of Linguistics (now SIL International) to live among the Huaorani. This eventually led to the conversion of many, including some of those involved in the killing. While largely eliminating tribal violence, their efforts exposed the tribe to exploitation and increased influence from the outside. The Martyrs of Japan were Christians who were persecuted for their faith in Japan, mostly during the 17th century. The shogunate and imperial government at first supported the Catholic mission and the missionaries, thinking that they would reduce the power of the Buddhist monks, and help trade with Spain and Portugal. However, the Shogunate was also wary of colonialism, seeing that in the Philippines the Spanish had taken power after converting the population. The government increasingly saw Roman Catholicism as a threat, and started persecuting Christians. Christianity was banned and those Japanese who refused to abandon their faith were killed. On February 5, 1597, twenty-six Christians—six European Franciscan missionaries, three Japanese Jesuits and seventeen Japanese laymen including three young boys—were executed by crucifixion in Nagasaki. These individuals were raised on crosses and then pierced through with spears. Persecution continued sporadically, breaking out again in 1613 and 1630. 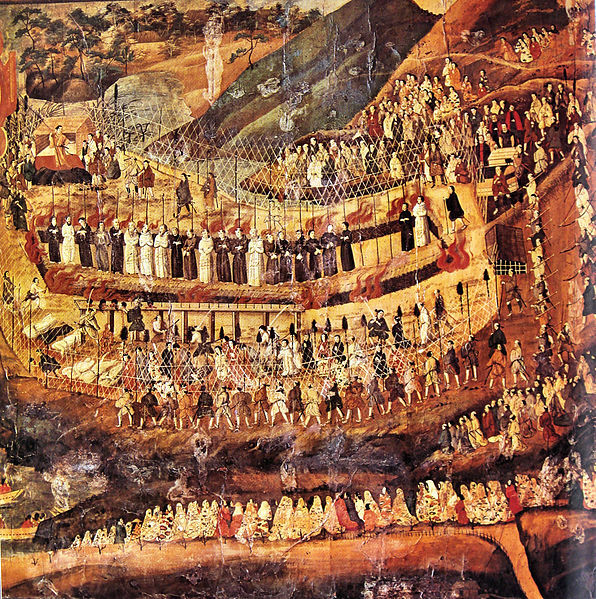 On September 10, 1632, 55 Christians were martyred in Nagasaki in what became known as the Great Genna Martyrdom. At this time Roman Catholicism was officially outlawed. The Church remained without clergy and theological teaching disintegrated until the arrival of Western missionaries in the nineteenth century. 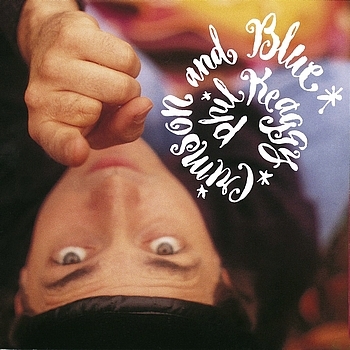 All songs were written by Phil Keaggy, unless otherwise noted. 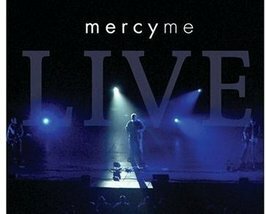 This double disc set from MercyMe captures incredible live moments, behind-the-scenes footage, camera time with the band, and much more! 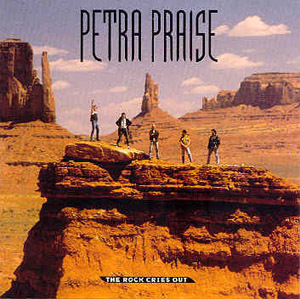 Disc 1 features over 1 hour of live concert footage and performances of favorites like "I Can Only Imagine", "Word Of God Speak", "Here With Me", and "Homesick". Disc 2 includes behind the scenes at rehearsals, band member interviews, singing of the Star Spangled Banner, on the road footage, the making of the 'Cartoon Pizza' theme song, 2004 Dove Awards performance, devotional moments with Max Lucado, and multimedia accompaniment tracks.